We are a self funded equine rescue. This means we are not a 501c. We do not run on donations. 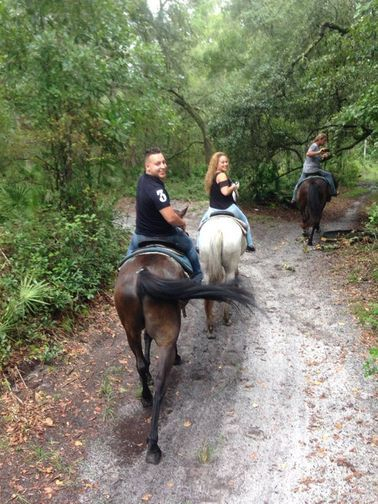 Our mission is to support rescues through guided trail rides. 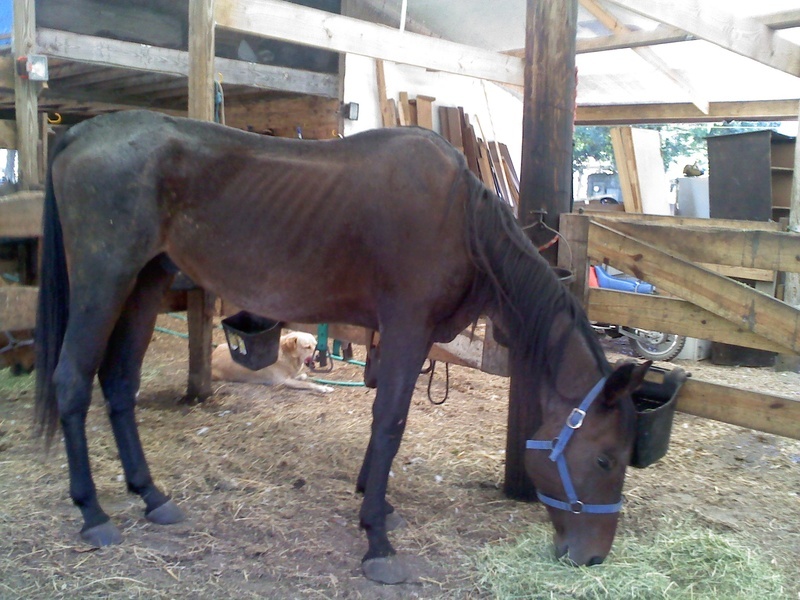 This in turn allows our horses to help support themselves. 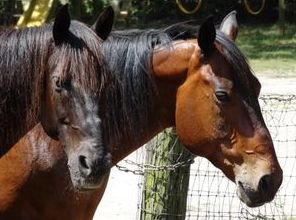 Everything started with our family taking in rescued horses. All the local kids would ride our horses with us to keep them fit. 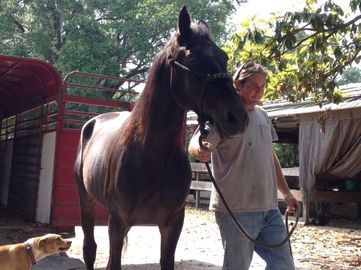 Soon we decided to offer guided trail rides to help support our rescue efforts. Gradually Makin' Tracks Trail Rides, LLC Took on a life of it's own. 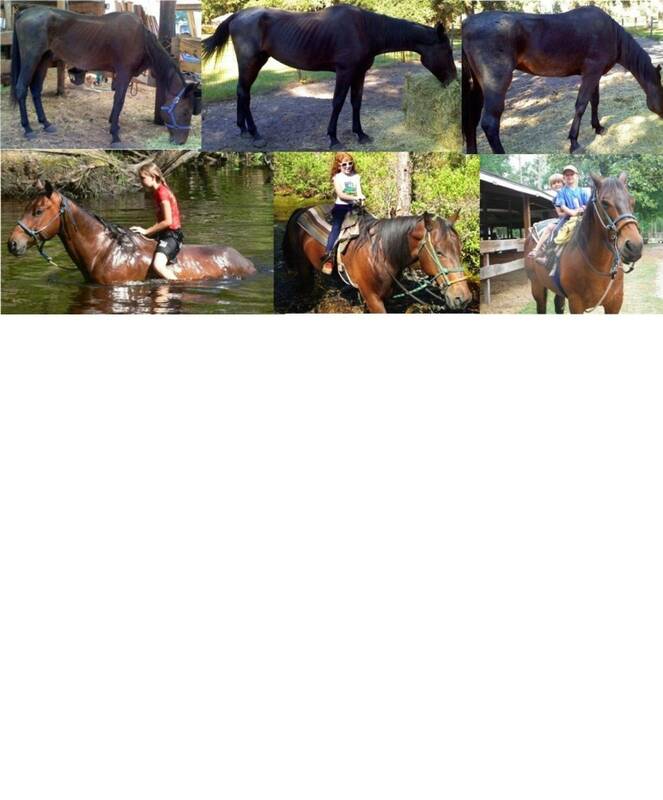 Our trail rides grew into a great family business. supporting our horses and our family. 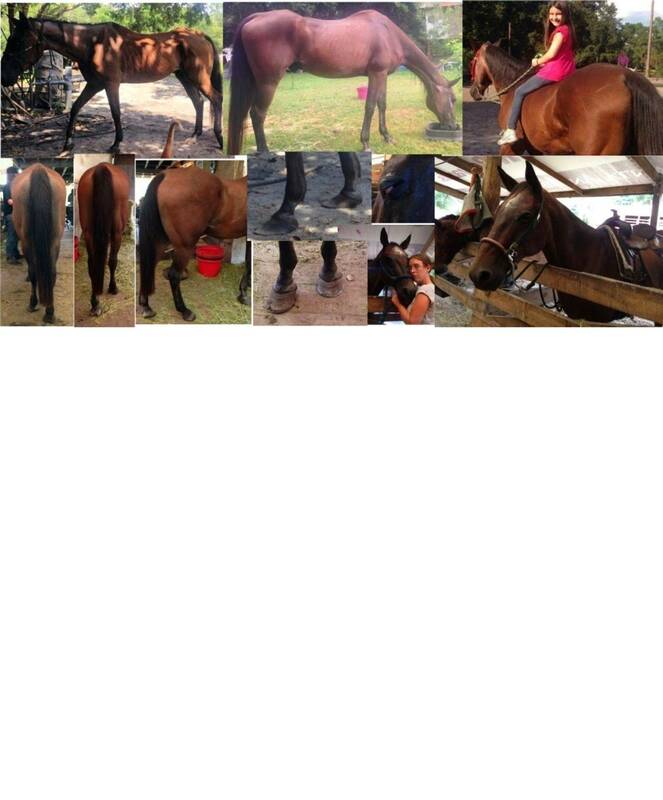 Here are a few of the horses at Makin' Tracks Trail Rides, LLC. 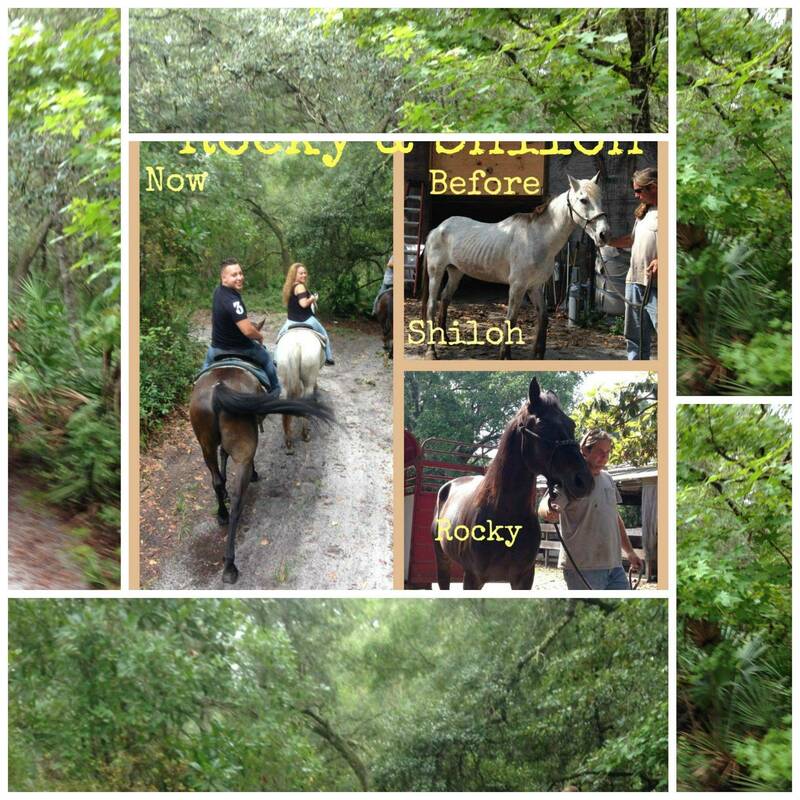 Shiloh and Rocky have arrived here late July 2014. They were a bit underweight. But their person loved them and made a very difficult choice. He chose to place them for their own good. He had health issues which prevented him from being able to work. His health also made it very difficult for him to spend the time to care for them. They served their family well and watched the kids grow and leave the nest. They have learned to enjoy the trail rides. 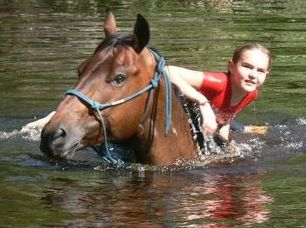 They are great kid horses too. He started out very skinny and very hungry. In a very short time he started to show improvement. It's hard to tell in the pics but he had a good shine to his coat and a sparkle in his eye. You can see already he had hope. Bones is a very trusting fellow. As you can clearly see he is doing great! We have even had to reduce his feed as he is starting to get too fat. He loves the trails and loves to swim. 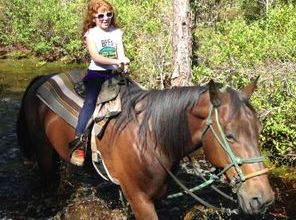 He has become one of our most trusted trail horses! He is Shadow's right hand man. He is also the Joker of the barn! He loves to play practical jokes. Spend a little time around the barn and you will see for yourself! Jolene was Dancer & Misty's original owner. Health issues forced her to place them. She chose us. When she was able to care for them again she decided to bring Dancer back home. We decided that it was in Misty's best interest at her age to not move her. She spent the rest of her life with us. Our one eyed mustang. He is a wonderful horse. 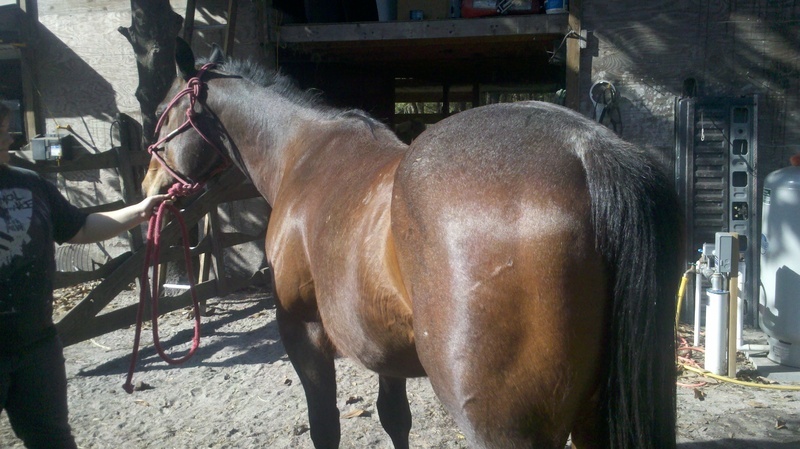 And a joy to be around, needs a somewhat experienced rider. Dancer is looking for his special person and a forever home. Beau was our first rescue. 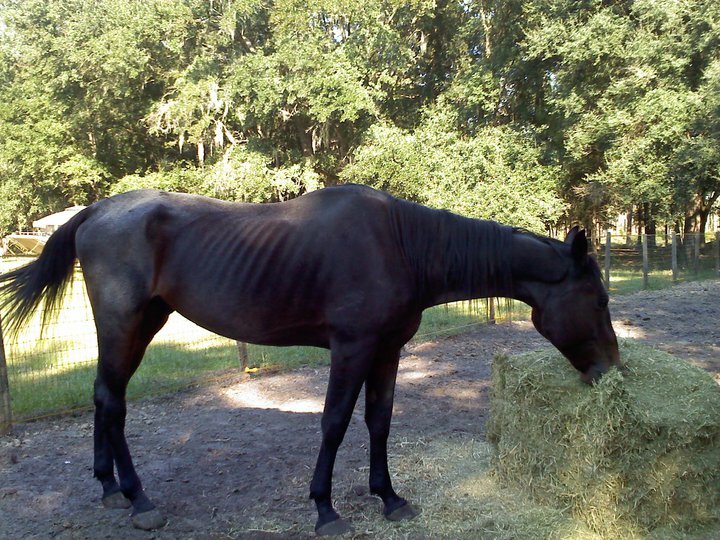 He was a 2 year old thoroughbred stallion. He was very under weight when the neighbors first brought him home. They did not have resources for a horse. The pen they were trying to keep him in would not hold him, especially with a mare just down the road on our property. They had him for a couple of months. 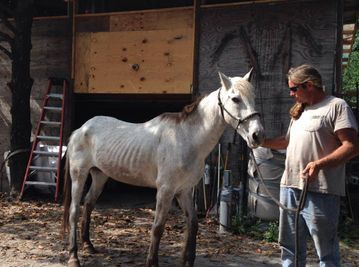 For whatever reason, even though I tried to help to educate them on the needs that a horse has they would not repair his pen and he was continually dropping more and more weight. He would come to our property regularly and it was becoming a danger to our son, 2 years old at the time. Racing into our yard at random times. So, after numerous times, we gave them a choice. Either we will buy the horse, or we will call animal control. That was about 8 years ago. He really doesn't work at all because he seems to be sore in his stifles on occasion. But he is really sweet. 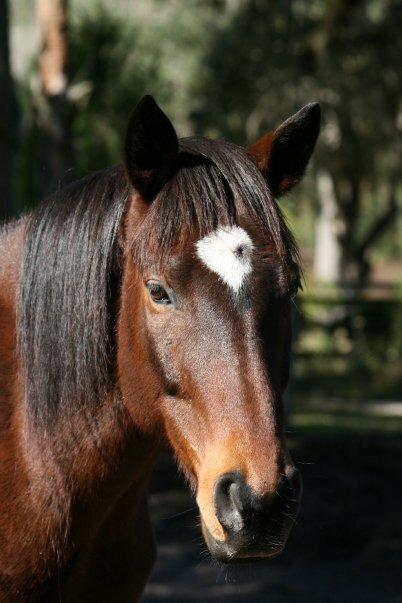 Mary is a 1987 thoroughbred mare. We received her as a result of looking into lessons for our son when he was about 6 years old. A farm was struggling financially and needed to place her. We decided to bring her home. She stayed with us for about 10 years. She helped us get started with the trail rides. She is a hard keeper and requires alot of maintenance. She went to stay with a close friend to become mostly retired.She is very fat, happy and healthy, loving her retirement. We will always have a place in our heart for you Misty. You may be gone but you will never be forgotten. She is a sweet little appy mare. She is 20 ish as we don't know her true age. Cody my son claims her as his own. Customers ride her occasionally, but sometimes she can be a little forward if not properly matched with her rider. Misty was the result of a young lady growing up. She wanted to board her here, and then just never came back for her. A year or so later we found out that she decided that she wanted her to stay with us because she had a good home here. She is not up for adoption. She will spend the rest of her days with us. She is a part of our family.